NEWMAX Solar Gel (SG Series) batteries are true maintenance-free sealed batteries engineered specifically to satisfy the need for frequent deep cycles from photovoltaic (PV) and renewable energy storage applications. 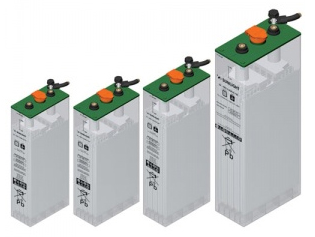 We are confident that our technology-intensive, long-lasting and environmentally friendly SG Series batteries will provide stability and efficiency for your everyday renewable energy needs. SUNLIGHT RES SOPzS is an advanced cost efficient solution ideal for energy storage for systems that demand long cycle life and increased watering intervals. Enhanced tubular plate technology specially designed for renewable energy applications and SUNLIGHT’s solid experience on industrial batteries produce an exceptional combination of benefits in a single battery.